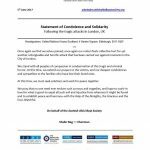 Once again we find ourselves pained, once again our nation feels collective hurt for yet another unforgivable and horrific attack that has been carried out against innocents in the City of London. We stand with all peoples of compassion in condemnation of this tragic and criminal horror. 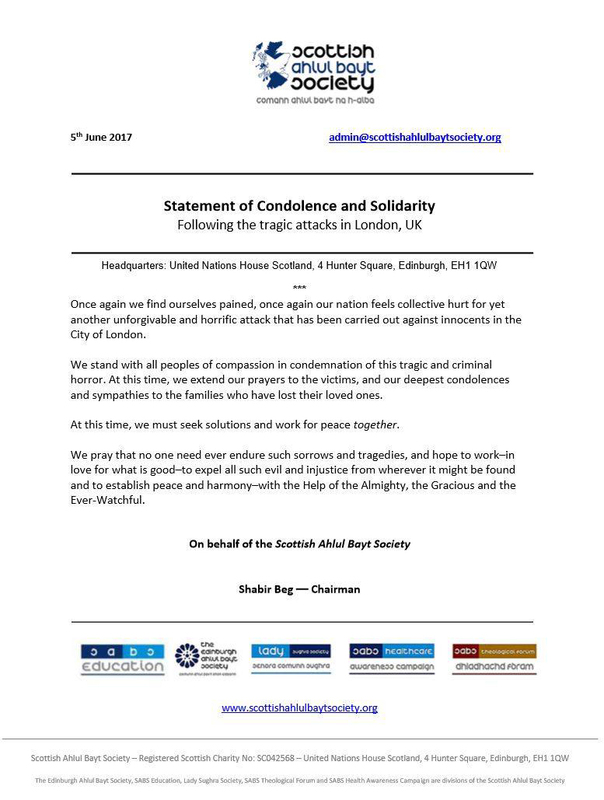 At this time, we extend our prayers to the victims, and our deepest condolences and sympathies to the families who have lost their loved ones. At this time, we must seek solutions and work for peace together. We pray that no one need ever endure such sorrows and tragedies, and hope to work–in love for what is good–to expel all such evil and injustice from wherever it might be found and to establish peace and harmony–with the Help of the Almighty, the Gracious and the Ever-Watchful.